It’s day four and no amount of coffee seems sufficient to revive me this morning. But as I’m digging through my bag, I come across a tiny scroll. As I was leaving the Reed family’s home in Co. Kerry yesterday, their oldest daughter came running out to the car to offer me this little gift (apparently it is a family tradition to give a Bible verse to every visitor to their home). I had put it into my bag but hadn’t got around to opening it in the busy-ness of my travels. The thoughtfulness of the gift, and the encouragement of scripture are exactly what I need to motivate me for another day on the road. Until recently, the church met in the former Methodist Meeting House. But last October, the 200-year-old building took the full force of Storm Ophelia. The violent wind ripped off the ancient roof tiles and water poured in destroying the children’s room upstairs and flooding the Sanctuary with its original wooden floor. As I arrive, the roofers are still hard at work but there is a long way to go - the insurance company finally agreed to pay for the replacement roof but refused to cover the full cost of repairs to the building. Undaunted the church moved their Sunday services to the local community centre... after all a church is the people not the building, Tom says. But even so, it has been a challenging time! From Cobh, I head north east and am deeply grateful for long clear stretches of motorway as I battle tiredness. In Kilkenny, I have the privilege of enjoying and lovely cup of tea and a chat with two mums - Naomi and Caroline. These two ladies share their own, very different faith journeys. 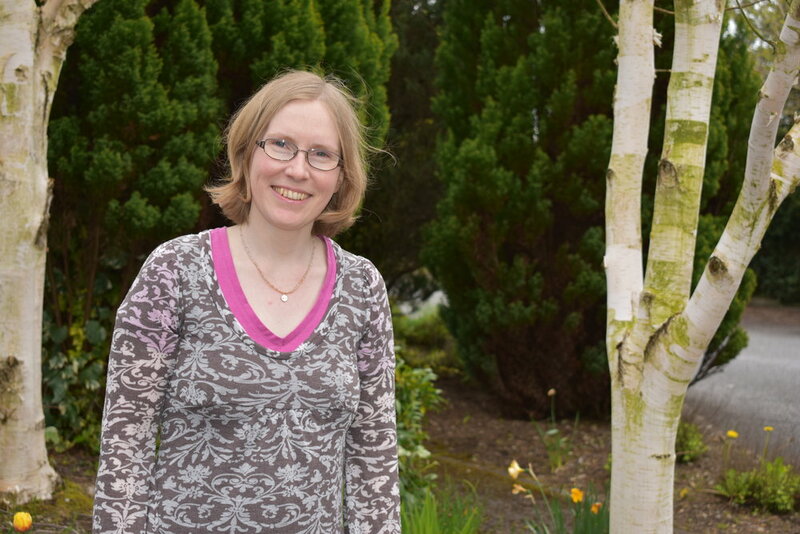 Having a mentor really helped Naomi to think more deeply about her relationship with God. As a busy mum, it had been hard to find time for personal devotions but stopping for a cup of tea and taking time to read the Bible after dropping the children off at school made a big difference. For Caroline, the last year has been an emotional roller-coaster. Her father-in-law sadly died just two weeks before the birth of her beautiful daughter, leaving many unanswered questions. "Evelyn has been such a blessing - she is the perfect gift. I would be a natural worrier but now I've been able to hand it over to God. It is an amazing feeling." I had planned it perfectly... with ample time to reach Greystones, even allowing for some traffic along the way. Unfortunately the warning signs proved correct and "LONG DELAYS" resulted in the final 20kms taking over an hour! Eventually I reached my destination... Coolnagreina YWCA kindly invited me to stay in one of their beautiful guest rooms - such a blessing but more about that tomorrow! For the evening, I headed over to nearby Bray where a short stroll along the seafront and some food "restored my soul". Every Friday evening, Maureen and Mike run the International Cafe in Bray. It is an opportunity for international students to gather in a warm, friendly environment, enjoy a cuppa and a few buns, practice their English and listen to a relaxed Irish trad session. Musicians from the local area come and play, while the students chat. Some of the students have questions about faith. VOX readers Annmarie and her husband, David are musicians. Annmarie also recalls chatting with one Japanese student who had become interested in Christianity because she heard so many Irish people saying "Jesus"! Although an unusual starting point, this led to a whole conversation about who Jesus is and Annmarie was able to recommend an online Bible where the student could read the Scriptures in her own language. 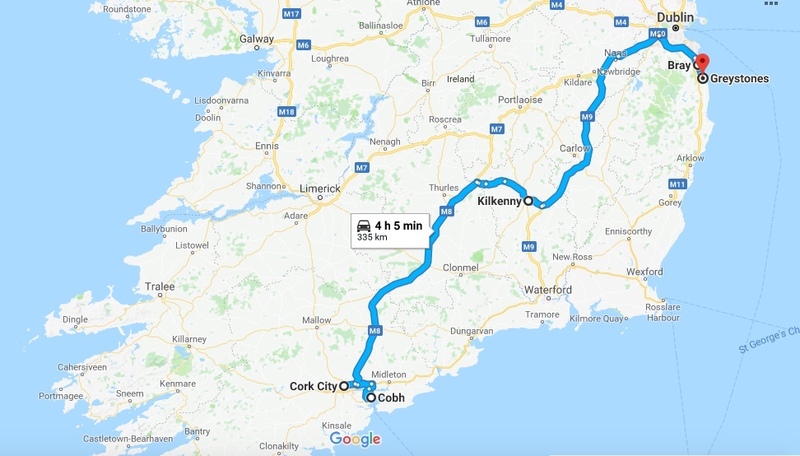 Somewhat reluctantly, I tear myself away from the music and head back to my lovely comfortable room at Coolnagreina... it's another late night but thankfully tomorrow is Dublin-based so I'm hoping for less driving (I topped the 1,000km mark today and more)! In the meantime, I'm inspired by the "cúpla focal" spoken by the musicians tonight... so I bid you... oíche mhaith!